So he built his into a boombox! Though XCKDIY hasn’t handed out his instructions on how to re-create his masterpiece, it looks like he pretty much hollowed the stereo. All we can see is that he’s put in a small screen where the tape deck should be, with controller ports below it. 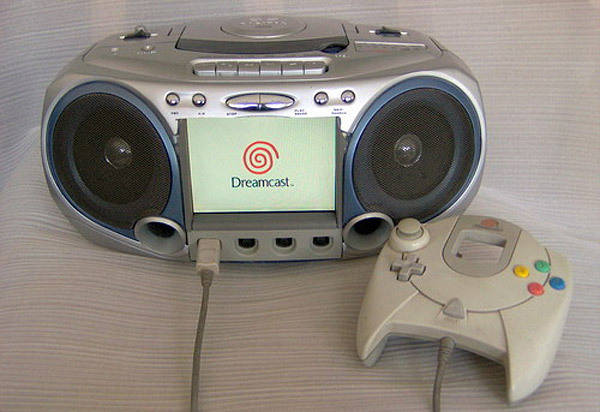 Don’t believe the Dreamcast Boombox is real? XCKDIY thought you might be skeptical, so he made a video of the machine in action. 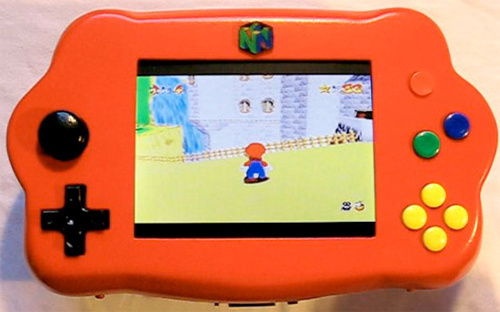 The portable N64 looks like one of those crappy Tiger handheld games, but it plays N64 Games! It has a five inch screen, speakers and a built-in rumble pack. One downside – it needs two camcorder batteries for three hours of juice. Well, technically they’re scans, not screenshots. 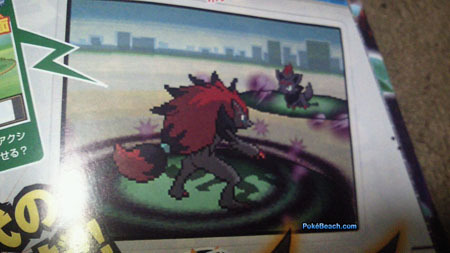 Media outlets were hesitant at first to refer to these images from Japanese gaming mag CoroCoro as the very first screens from “Pokemon Black and White.” Nintendo just announced “Black” and “White” last week, which may be why there were so many skeptics. 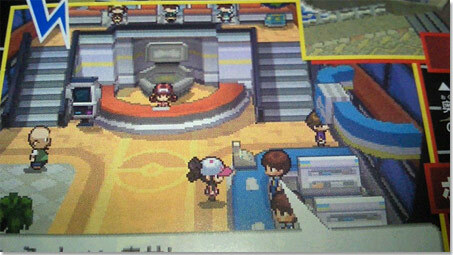 Though the gameplay seems to be similar to be classic Pokemon, the new game(s) feature a visual overhaul – Black and White are dropping the classic overhead perspective, in favor of a dose of 3D. Unless you live under a rock and/or haven’t entered a bookstore in the past year, you’ve heard of Seth Grahame-Smith and his literary mash-up “Pride and Prejudice and Zombies”. It’s a New York Times bestseller that has already generated two similar titles, (“Sense and Sensibility and Sea Monsters”, “Abraham Lincoln: Vampire Hunter”) and a prequel (“Dawn of the Dreadfuls”): Plus, there’s a movie adaptation on the way, starring Natalie Portman. In short; this book is phenomenon. Knowing all that, it makes total sense that developer Freeverse is jumping on the “PP&Z” bandwagon, making an iPhone game based on the franchise. According to Kotaku, Freeverse has described the game as “a rollicking action title with the perfect blend of zombie slaying action and touching romance narrative”. Based on the picture, that means Victorian-themed zombie killing with romantic cutscenes. 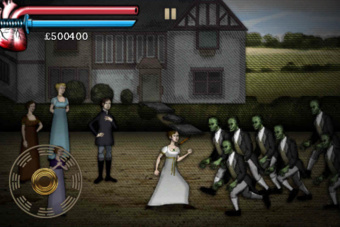 “Pride and Prejudice and Zombies” will hit the App Store some time in April. I can’t believe that it’s actually been five years since Sony jumped into the portable console market, releasing the PSP in the US. As the console enters the home stretch, (Strong rumors suggest that Sony will unveil the PSP2 at E3 in June) the PSP has had a pretty amazing run, selling over 17 million consoles stateside. Though the console has definitely hit it’s hardware limits, one can’t help but feel that the PSP is only now just starting to come into its own. The PSP-Go, which ditched Sony’s failed UMD tech in favor of playing downloaded content exclusively, painted the machine in a whole new light. Hopefully, the PSP will ultimately represent the growing pains necessary to create a great new console the next time around. Nintendo officially announced today that their next handheld console, called the “3DS”, is on the way. The new console, as Nintendo showed off today, will build on the tech trend growing in TV and film, playing games in 3D. At first glance, the physical console looks like a another iteration of the DS; it has dual screens and the same button layout as Nintendo’s current console. The similarity is boon, though, as the 3DS will be backwards compatible, playing the entire DS and DSi library. 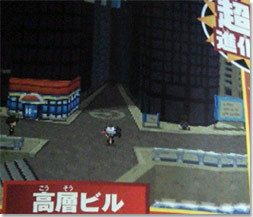 As for the release date, Nintendo only said that the console would launch in Japan sometime before March, 2011. Ultimately, Nintendo didn’t actually say much about the console, but a more comprehensive unveiling will definitely be coming at E3 in June. If you have been following the rumblings of industry pundits and rumor-mills, then the fact that Nintendo has announced that they’re making a new portable console comes as little surprise: Rumors of the so-called “DS Successor” have been floating around for months. 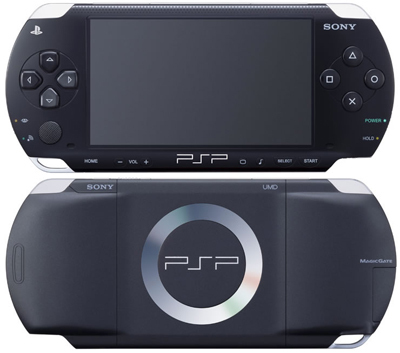 Some have even speculated that Sony may also present the PSP2 at E3, kick-starting the next-gen handheld console war. UPDATE: Rumors have already begun circulating, filling in some of the blanks left by Nintendo’s bare-bones announcement. According to two separate Japanese business magazines, Nikkei and Asahi, the 3DS achieves its three-dimensional using a technology called a “Paralax Barrier”, developed by Sharp. The illusion is achieved by using a second overlapping screen with a series of slits; the result is that the player sees a different set of pixels with each eye, which is perceived as depth. The trades also mention a special D-Pad for moving in 3D, built-in rumble support, and a tilt sensor, similar to the iPhone. We will keep you updated on the rumors and announcements as they come.